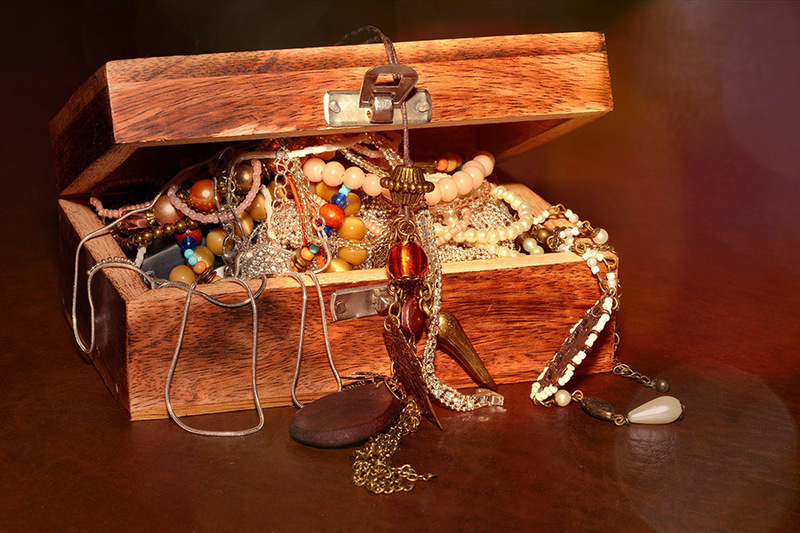 The dictionary defines treasure as something of great value and worth and something that we cherish. What are your treasures? Do you have a collection of some sort, a favorite piece of jewelry or memento that has been handed down in your family, or some object that you hold dear? The objects I am referring to are tangible in that we can see them. Let us consider how we take care of our special treasures. We keep them clean perhaps by dusting them if appropriate. We keep them in a secure place. We may take them out and look at them often. Now I invite you to consider the treasures that probably mean the most to us. They are not tangible in that we can not see them. Words. My daughter said that words can be the greatest treasure and I agree. Words of comfort, words of friendship, and admiration can all contain nuggets of treasures. There are many words in Scripture that speak of God’s care for, and of, us. Love. The love we carry in our hearts for others, as well as the love others have for us, is a special treasure. Intermingled with this love are the relationships and friendships we share with others. God’s word is full of His love for us. Memories. We love to reflect on happy, fun, uplifting memories. God’s Word encourages us to remember His workings in our lives as this builds faith in Him. The words of this Scripture were spoken to the children of Israel, but we can lay hold of this promise because as Gentile believers we are grafted in. Note that the promises if for those who obey His voice (His Word) and keep covenant. Now let us draw a comparison to the way we treat our treasures with the way God treats His. He protects his treasure. Psalm 144:2 states he is a shield for us- that is He protects us. He keeps us clean with our permission. I John 1:9 tells us we are to confess our sins and then we are forgiven – clean. We are secure. Hebrews 13:5 assures us He will never leave us nor forsake us. His eye is on us as Matthew 10:30 tells us even the hairs of our head are numbered. Is there any one of us who does not long to be called God’s special treasure? What an exciting promise.